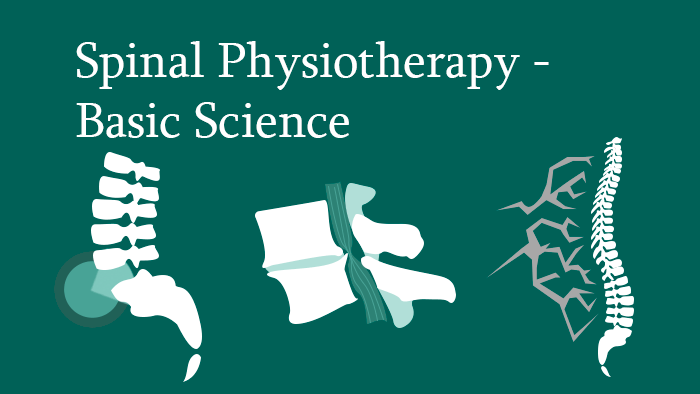 This online course covers spine physiotherapy, from spinal biomechanics and anatomy to non-operative management of various spine conditions. Assessment: Each of the 25 Lectures has an online assessment, and there is a final online exam that must be passed successfully to be awarded the certificate. Location: This course is completely online, so no travel necessary. You can study at your own pace, wherever there’s an internet connection. This course can be purchased and started immediately – just click the Enrol Now button to get started. 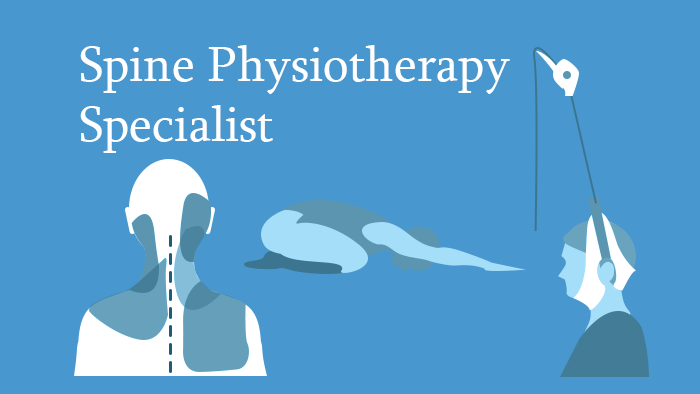 This Specialist Certificate covers spine physiotherapy, from topics on spine biomechanics and anatomy to non-operative management of various spine conditions. It is made up of 4 Knowledge Packages – each focused on a particular aspect of spinal physiotherapy – Basic Science, the Degenerative Cervical Spine, the Degenerative Thoracolumbar Spine, and the Deformed Spine. For thorough physiological knowledge, there are individual lectures on spinal biomechanics, the aging process of the spine, spinal pain and spinal balance, as well as physical and neurological assessment of patients with spinal disorders. 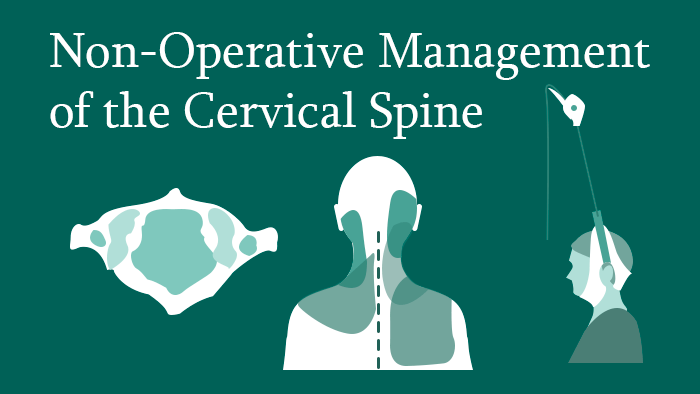 Cervical spine anatomy and imaging of degenerative cervical spine conditions are covered along with details of specific conditions – axial neck pain, cervical radiculopathy and cervical myelopathy, and the non-operative management of all of these. 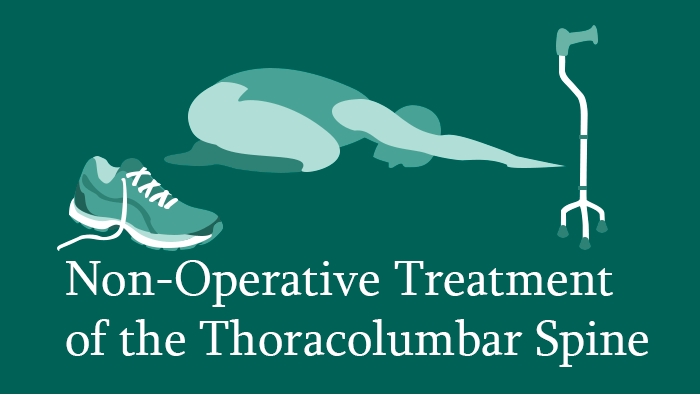 The thoracolumbar section covers the clinical presentation and diagnostic work up of degenerative disc disorders. Topics covered in-depth in subsequent lectures include the non-operative treatment of spinal stenosis, lumbar spondylosis, lumbar disc herniation and sacroiliac joint pain. There are two lectures on the management and recovery of non-specific low back pain. 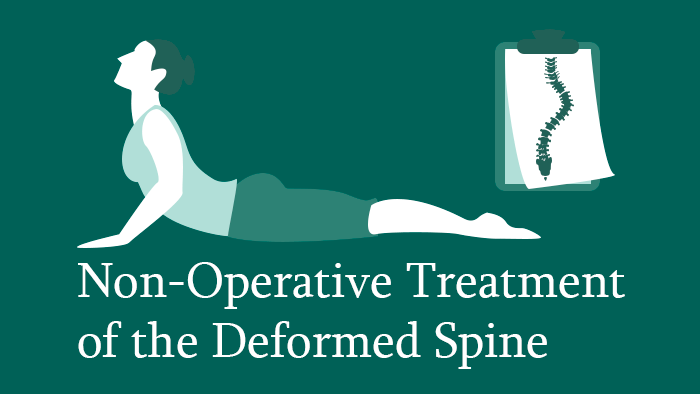 Finally, the deformed spine section covers adult, degenerative and idiopathic scoliosis, Scheuermann’s and idiopathic kyphosis, and indications for brace treatment of spinal deformities. Note: This qualification cannot be used as a route towards the eccElearning Spine Surgery Diploma.  Q: What is an eccElearning Specialist Certificate? A: eccElearning Specialist Certificates are in-depth medical educational courses focused on a specific area of expertise - for example, Spine Trauma or Spine Tumours. They contain 3-6 Knowledge Packages and 13-23 online spine surgery Lectures and all materials associated with them, including narrated Lecture presentations, assessments, downloadable references, CME Credits and the Specialist Certificate Examination. You can work towards the full Spine Surgery Diploma qualification by completing all 9 of the Advanced Specialist Certificates. Q: What does a Specialist Certificate include? A: Specialist Certificates are made up of all the relevant Knowledge Packages in a given area, so include 13-23 Lectures. This means you get all online Lecture Presentations, downloadable references, pre- and post- learning assessments, CME Credits and the Certificate Examination. You will have access to all these materials for 12 months. Q: Who recognises the Specialist Certificate? A: All our Specialist Certificates have a final 1-hour multiple-choice Examination. The Examination is only able to be taken once all the Lecture Assessments for that Certificate have been completed successfully.  Q: Is there a time limit for completing a Specialist Certificate? A: Yes, you have a study period of 12 Months, though typical completion time is 2-3 Months. Q: Is there an advantage to buying the Specialist Certificate, rather than the relevant Knowledge Packages? A: Yes.  It is more cost-effective to buy a Specialist Certificate, rather than all the relevant Knowledge Packages. You also get all of the downloadable references when you buy a Specialist Certificate. Knowledge Packages include only the 'Compulsory' reference materials.